Why Protein Powder Supplements ? Protein is an essential nutrient that your body needs to function properly. It enables your body to perform many vital functions and offers multiple health benefits. It is an absolutely essential part of a person’s health and without it human life could not continue. Everyone needs protein supplements on a regular basis. Athletes need more because they do intense workout and so as burn more calories. Often it seems to be difficult to eat enough protein containing foods on a regular basis to get the enough amounts needed. This is where supplements are important. Basically, protein powder supplements are designed to provide the body with additional food and nutritional requirements, in order to compensate an unbalanced diet. You can buy protein powder online at your leisure, regardless of your time zone. A Protein Supplement must be combined with the proper diet and workouts in order to get more effective results. As the name implies, proteins are the mixture of many nutritional sources. 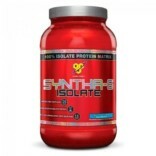 The amalgamation of two or more protein sources allocates the user to benefit from fast release and sustained protein release and a more complete amino acid profile. 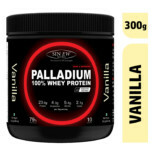 Protein supplements are best used at post workout, between meals and before bed. 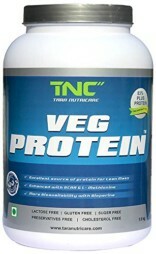 Protein powder blend comprises benefits of several nutritional sources in one powder. Protein supplements are generally a mixture of the four major proteins rolled into one which means you will get a mix of micellar casein, egg, hydrolyzed whey, & sometimes soy,when consuming a blended protein. Moreover, some proteins today also contain glutamine and creatine to help pack on muscle mass faster and pace up your recovery time. The possible benefit of combining a variety of supplements is to help promote recovery after exercise activity. Today’s generation prefers the taste of products that include a blend of proteins versus one type of protein and also a blend of proteins supplies amino acids to muscles and extends growth and repair. 1. Protein is a vital component of each cell in the body. Nails and Hair are mostly made of proteins. Our body uses nutrients to construct and repair tissues. 2. These protein powder provides our body with necessary building blocks used to generate amino acid that is needed to build muscle tissue. 3. Protein supplements plays a vital role as an antioxidant and immune system builder. It also boosts hormonal and cellular responses. 4. People on diet may take protein powders to help them maintain a good balance of their blood sugar levels. 1. Proteins take longer to digest compared to carbohydrates, so when you consume a high-protein food, you may feel fuller longer, reducing your urge to snack between meals which can end up to weight Loss. 2. A high-protein diet might increase calcium and oxalate excretion in your body, which can promote the growth of kidney stones. 3. Some people consume protein supplements instead of eating a good meal. These supplements are not a substitute for a meal. 4. Protein Supplements are formulated to be heavy on protein, but that means they fail at providing significant amounts of, vitamins, carbohydrates, minerals, and healthy fats. 1. Universal Advance Soy Proteins: Universal Advance Soy Protein supplements are rich in vital nutrients and soy proteins has been becoming famous due to its functional property and extreme use in fitness food products. It also helps in combating obesity. 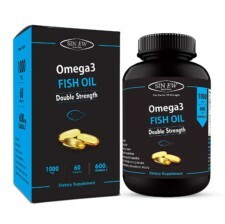 This supplements is extracted from deflated soybean and de-hulled which offers numerous health benefits. 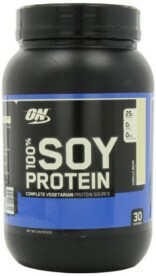 The flavor of Universal Advance Soy Protein makes it a delicious drink. 2. MusclePharm Combat Powder: MusclePharm combat powder is invented to maximize muscle growth and ensure protein consumption. 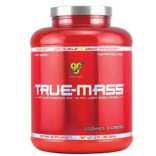 It consists of variety of protein supplements that digest for up to 8 hours at varying rates. It is easy to mix and provide great taste. 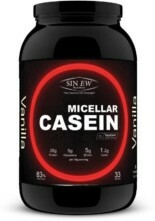 It is an amalgamation of whey protein concentrates isolates and Hydrolysates, mi-cellar casein and egg albumin. 3. British Nutrition Power Protein: British Nutrition Power is a combination of Ion Exchanged Whey Protein Isolate, Sweet Whey, Purified Whey Protein Concentrate, Mi-cellar Casein, Whey Peptides, Milk Protein Isolate, and Soy Protein Isolate along with carbohydrate and minerals which facilitate to construct lean muscle mass. 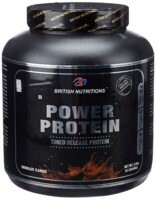 The british nutrition power protein powder is formulated to help promote protein synthesis. 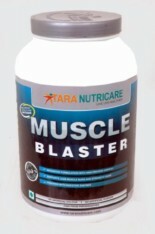 This is an ideal for athletes, body builders and fitness seekers. 4. 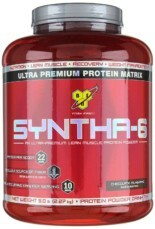 Muscletech Six Star Elite Series Whey Protein: This protein supplement is formulated with core ingredients clinically recommended to help build more muscle and strength than whey protein alone. Assembled with micro-filtered whey proteins, glutamine and fast-absorbing BCAAs to help you recover from your workouts and exercise routine. 5. Inner Armour Blue Super Quad Protein 10lb: Inner Armour Super Quad Protein provides you high quality micro filtered whey proteins, highly absorb-able, my cellar caseinate and long lasting milk protein isolate. 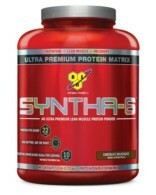 It is a combination of high quality protein sources supplying peptide fractions that optimize metabolism and digestion to get the protein where it’s needed. Some of the famous brands for protein supplements are Optimum Nutrition, Dymatize, Labrada, Sinew Nutrition, Universal Nutrition etc. Protein Supplements are an accurate blend of fast- and slow-release proteins providing multiple health-enhancing benefits. Proteins are the most significant macro nutrient for humans because of the several roles supplements plays in the body. 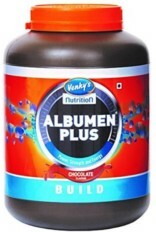 A choice of right protein supplement will help you to meet your nutritional necessities on a daily basis. A perfect protein powder will support your muscle growth and repair. Protein powder supplements are recommended for athletes and people involved in heavy workouts as it combines protein from a variety of sources like soy, casein, whey and many more.